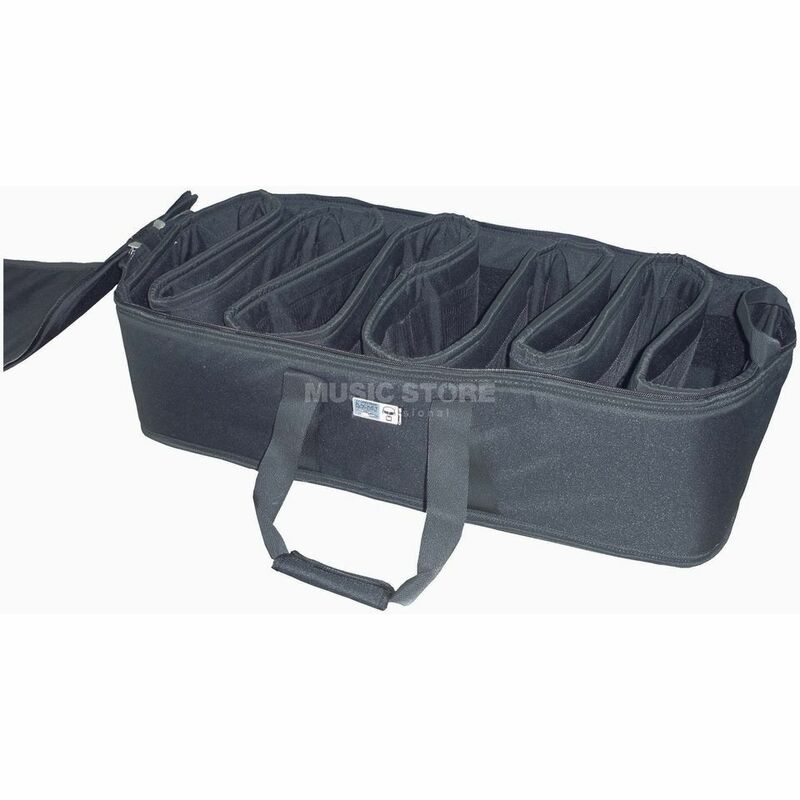 Protection Racket Hardware Bag "Electro 2"
The Electro 2 Hardware Bag is a premium quality hardware bag made by Protection Racket, perfect for E-Drum components. For over fourteen years, British manufacturer Protection Racket has built up a reputation for musical instrument cases. The company has now designed a range of electronic cases, tailored to fit most Roland and Yamaha models. Protection Racket?s new cases use Propadd foam for their shock resistant characteristics and feature an internal dividing system to create a flexible number of compartments to separate the individual components of the kit. From wires to pedal and drum brain to drum pads, Protection Racket have created exclusive cases which will keep everything organised, protected, and stored in a compact way.